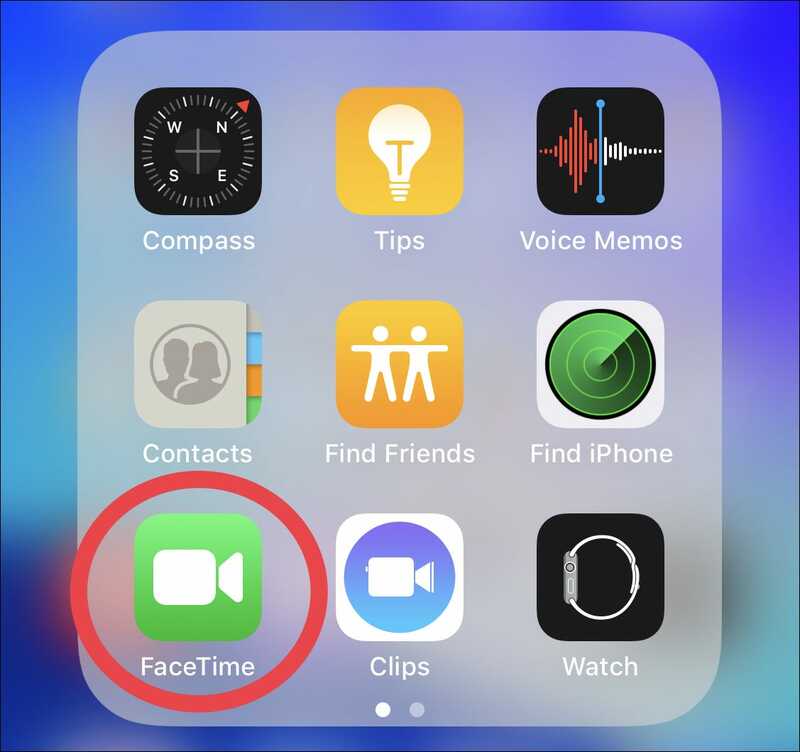 Apple changed the video calling game with FaceTime, and while there may be plenty of competition around, if you’re in the Apple ecosystem FaceTime is where it’s at. It’s pre-installed on all devices, so if someone has a Mac or iOS device, they have FaceTime, too. That ubiquity is what makes FaceTime so great because nobody has to wonder whether the person they are calling has any particular app installed or not. But while everyone has it, how exactly do you use it? 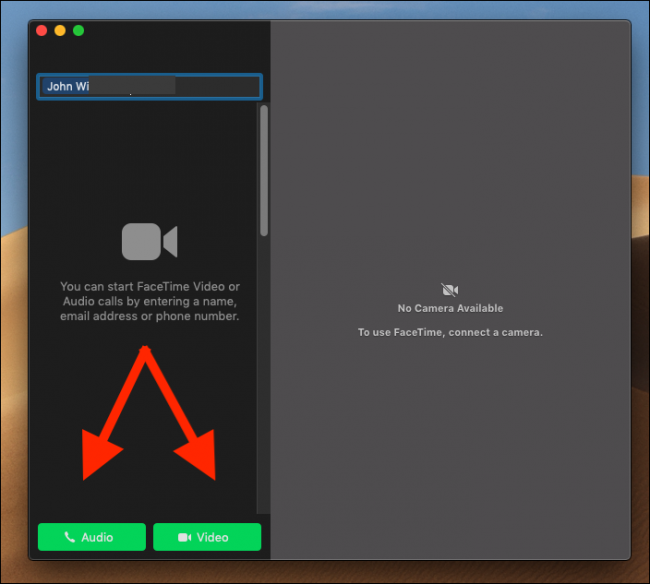 Making a FaceTime call on an iPhone or iPad requires the same process to be followed whether you’re using Apple’s phone or tablet, so we’re going to cover them both here. We’re using iPhone screenshots, but if you’re using an iPad, the interface is essentially the same, if a little more spacious. To get started, and we probably don’t need to explain this part, go ahead and open the FaceTime app on your iPhone or iPad. 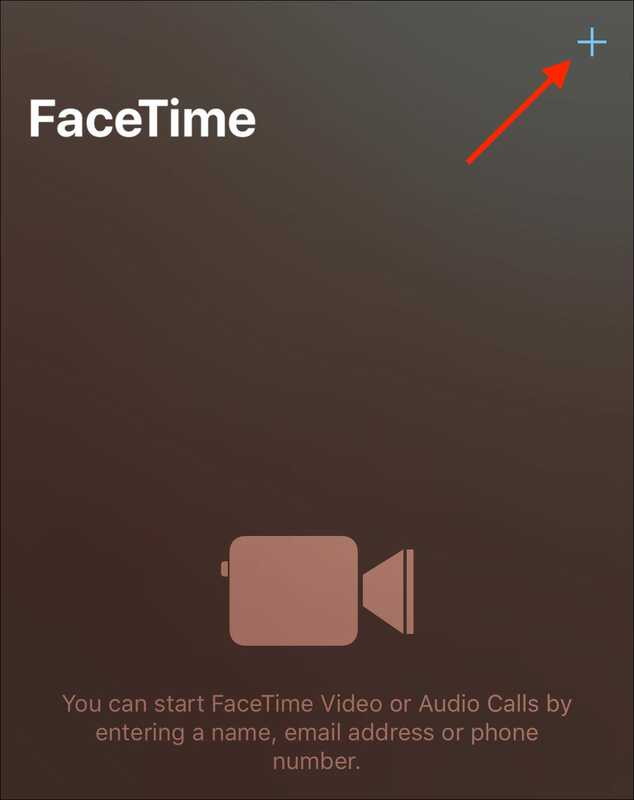 Now, tap the “+” icon in the top-right corner of the screen to start a new FaceTime call. If the person you are searching for has a device with FaceTime activated, their contact will be colored blue. If it’s gray, then they are unable to receive FaceTime calls. Once you’ve found the person you want to add to a call, tap their name. 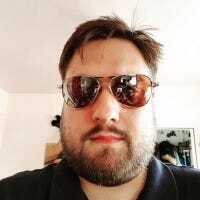 You can repeat this process for up to 31 participants as of iOS 12.1 and macOS Mojave 10.14.1 (FaceTime supports 32 people, but one of them is you). 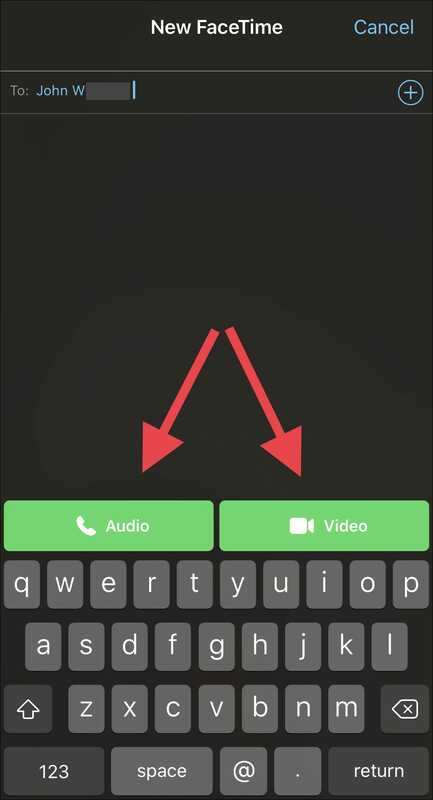 When you have everyone selected, tap either the “Audio” or “Video” button to initiate the call. 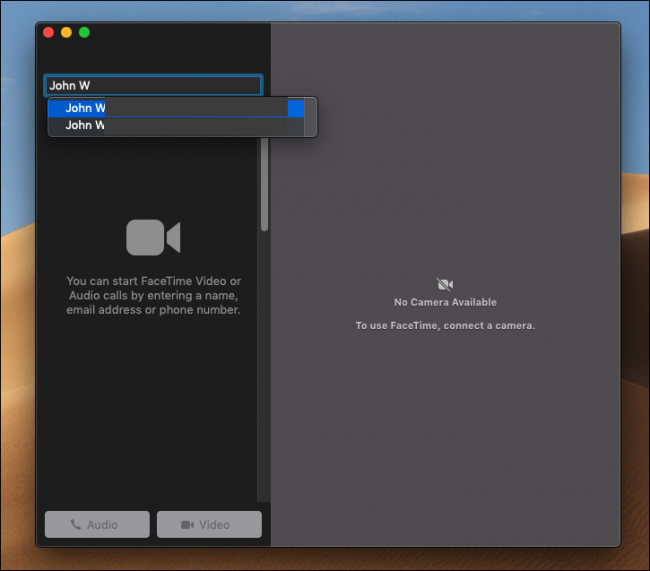 Making a FaceTime call on a Mac is arguably simpler than doing so on an iPhone or iPad, but again starts with opening the FaceTime app. 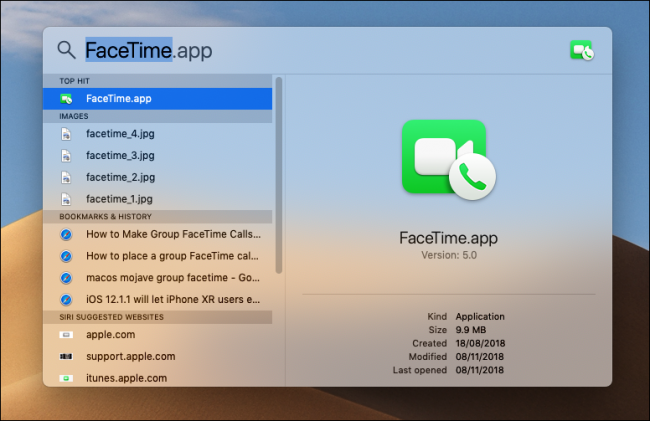 Our suggested way to do that is to press Command+Space to open Spotlight, type “FaceTime” to search for the app, and then press the Return key once it shows up. Alternatively, if it is in your Dock—as it is on all new Macs—then clicking it will also work just fine. 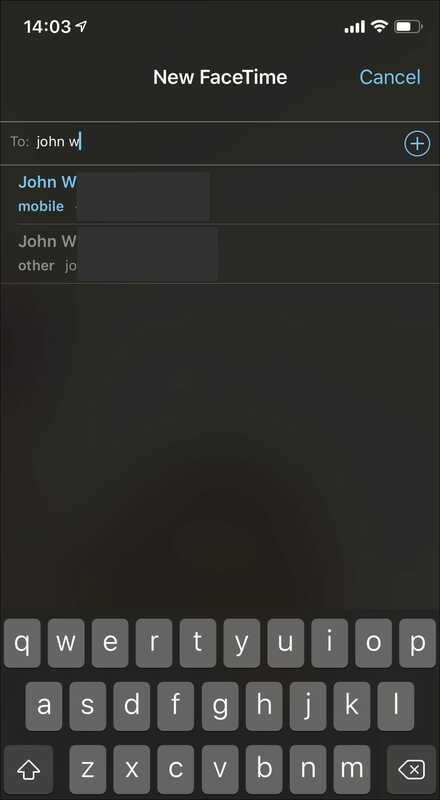 With FaceTime now open, click in the search box and start typing the name of the person you want to call. Once you see their name, either click it or press Return. Once you have added all of the people you want to call—up to a total of 32 participants (including you) as of iOS 12.1 and macOS Mojave 10.14—you can click the “Audio” or “Video” button to initiate the call. If a button isn’t green, that call type is unavailable. Whether you’re using an iPhone, iPad, or Mac, you can end a call by pressing the red “End Call” button as you would for a standard phone call.